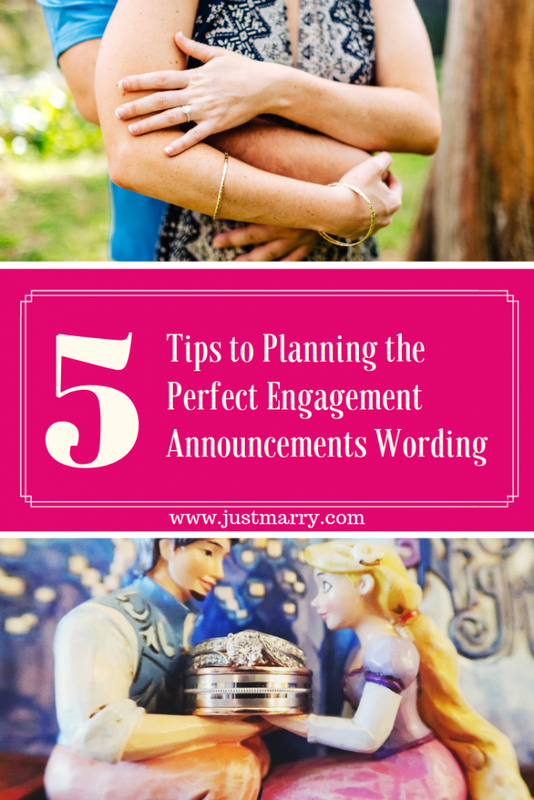 Planning the Perfect Engagement Announcements Wording | Analyzing - Orlando Wedding Planners | Just Marry! April 3, 2019 by Just Marry! When you first get engaged, planning the perfect engagement announcements wording might be the top thing on your to-do list. Who could blame you? You’ve just gotten engaged and you want to yell it from the rooftops, right? With everything being on social media these days, it’s even more important to get your engagement announcements wording just right. Today I’m offering up my top five tips to all of you. I may even share a fun story from my own engagement… so stay tuned! Some of you may opt to keep it simple with a “He/She said yes!” This is perfect to get the point across, especially with a photo included. Even with a short announcement like that, you know the comments will begin rolling in on social media! 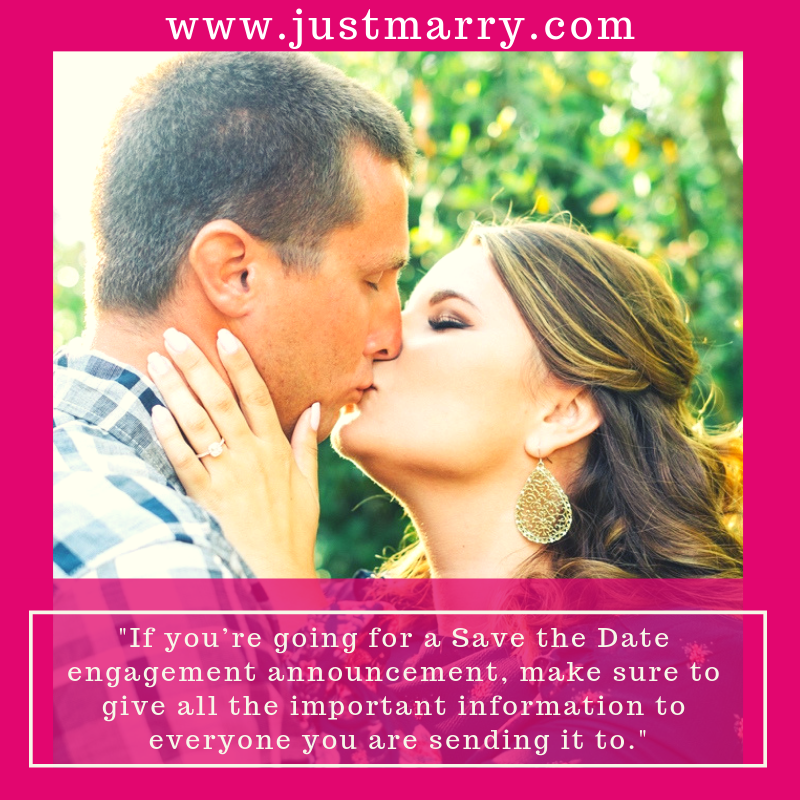 If you’re going for a Save the Date engagement announcement, make sure to give all the important information to everyone you are sending it to. Do you have a date? Location? Important info? Add this. Your guests will definitely appreciate these details. There are so many fun ways to announce your engagement on a Save the Date, and there are plenty of beautiful design options available as well! You may want to include a hashtag with your engagement announcement. By adding a hashtag, your guests can start using it as they prepare for your day. They may use it at your shower, engagement party, and even the wedding day! If you can’t think of a hashtag, ask for some suggestions when you make your announcement. This makes it fun for your friends and family to come up with something creative! If you’re including a photo to announce your engagement, perhaps there’s a silly pun or something happening at that time to add to your photo with a clever caption. Maybe you can include a little story about the proposal, or a detail about how you felt at that moment! For me, I posted a photo of my ring the day after I was engaged. That day happened to take place on Super Bowl Sunday. My caption was “It doesn’t matter who wins the Super Bowl tonight, since I brought home the ring!” People still talk about it a year later! This is your time to shine – literally, you may have a shiny new rock on your finger! Post it, share it, snail mail it! Maybe you’ll post a boomerang or video. I remember seeing an engagement of someone and their video was just grabbing a celebratory glass of champagne with the hand wearing the ring. I thought this was so subtle and smart! Some people opt to do something sly and see if people catch it. Others want to scream to the world that they are getting married. It is such an exciting time, and you should celebrate it any way you want! Remember to take it in and enjoy the moment. It is one you will surely never forget! 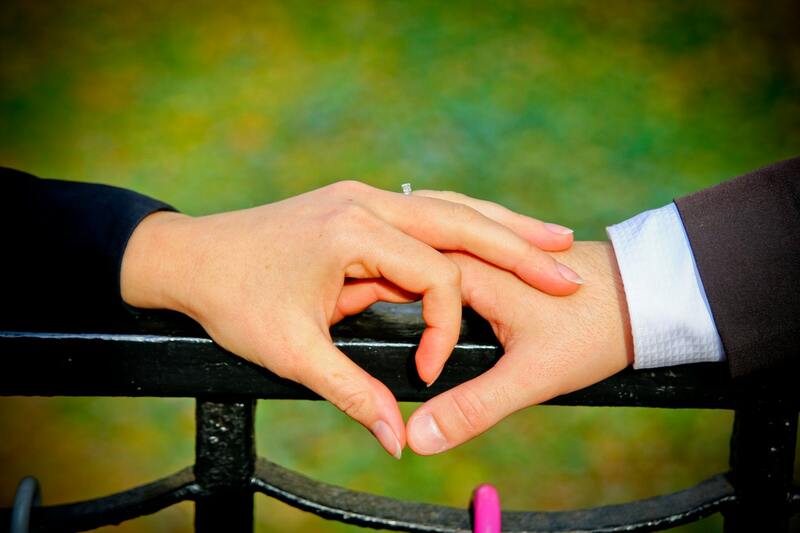 If you need help on your own engagement announcements wording, we’re here for you! Reach out to us today if you’re interested in learning more about our wedding planning services or if you have any questions. 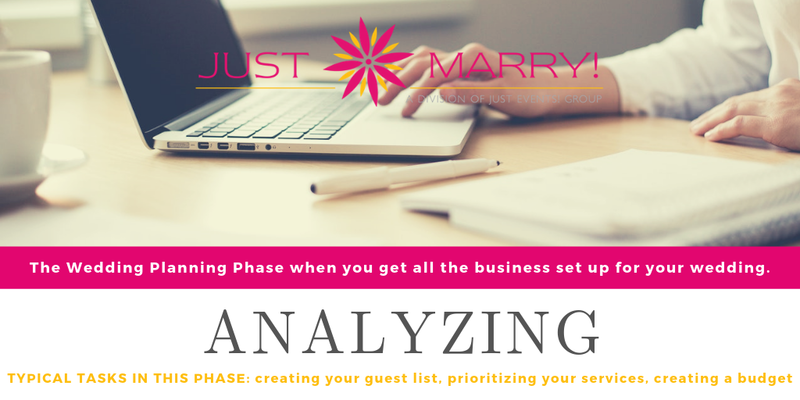 E-mail us at info@justmarry.com and a member of our team will get back to you right away. 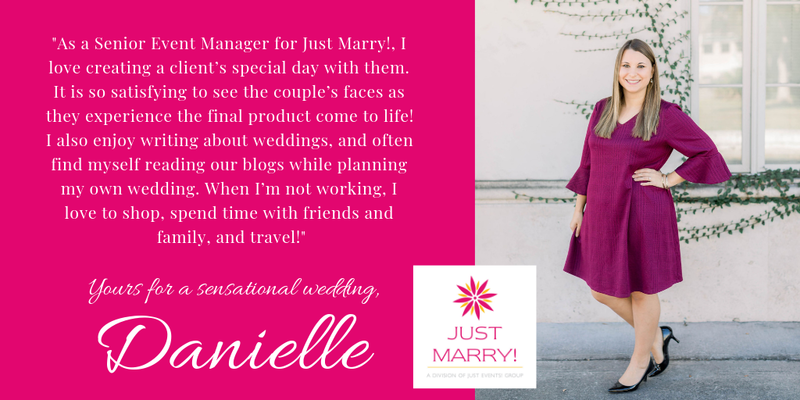 We’d love to welcome you into the Just Marry! family!